Deep learning, also known as hierarchical learning, is a class of Machine learning and was discovered in 2006. 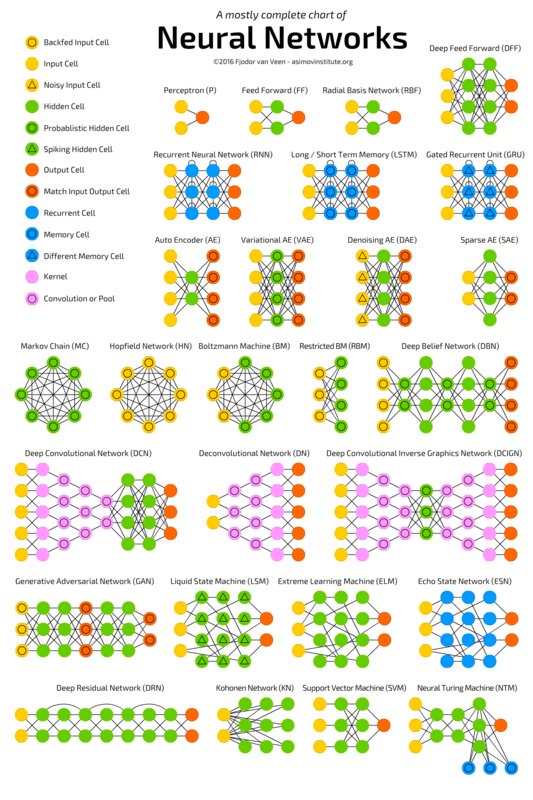 It is broadly defined as set of techniques to train and learn in neural networks that we will talk about in next section. Similar to conventional machine learning, Deep learning can be supervised(models are pre-trained using training data before live deployment) or unsupervised(models are trained as live data comes through). Moreover, Deep learning works by breaking the problem in more than three layers(including input and output layers) of representations(abstractions) wherein each layer uses the output from previous layer. As we can see, output of previous nodes is passed as input to successive nodes. Moreover, nodes in each layer of ANN represents a Function (f) that converts input to output. This function could be a logical function (AND, OR etc. ), linear function (3*I + b where I is input vector and b is bias) or any other function. This function is derived by ANNs with help of training data and then these trained models are used to get output of set of input features.